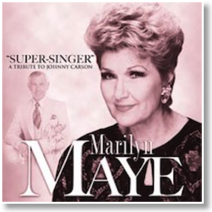 Pop-jazz music singer and American performer Marilyn Maye grew up during the Great Depression. Yet despite the hardship and trouble that affected many, Maye found through the direction of her mother a path that created a life of singing that has touched countless audiences. From the age of 10, Maye performed in talent contests to small venues. However it took decades until she “worked professionally” in 1941 and in the many decades since her focus has been to sing heartfelt pop-jazz music. 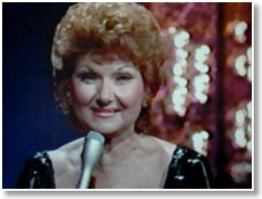 Now at 87, Maye has recently performed at the Metropolitan Room in New York City. In this interview Maye shares her love of singing and what has changed in music for her. G.M. Burns: Your singing career began during the Great Depression. What was it like for you to perform during such hard times? Marilyn Maye: I was born during the depression and didn’t actually start working professionally until 1941. During high school, Des Moines, Iowa, I had a radio show called “Marilyn Entertains” on KRNT. On Friday and Saturdays, I worked with a small band in a night club where I received great approval, even though I was a teenager. Occasionally, I sang with a big band in two of the large dance ballrooms in Des Moines. Having performed for more than eight decades as a singer -- what has kept you moving forward? The desire and necessity to make a living and the fact that my talent and performances were accepted. I’ve always worked steadily though out my life. What do you feel has changed the most in your music? I haven’t changed – I’ve grown – I’ve improved though all these years and I’ve honored my beliefs. I have always stayed true to my way of performing. Where does your love of singing come from? I love the work – it’s definitely not easy but, as I suggest to my students – the talented singers I coach, if you do the work and hone your craft, the rewards are great. I suppose it’s both. My instincts, my mind and my thoughts while performing are always in the lyric and as I work you find ways of conveying the story to the audience. It’s not an exercise for yourself. When you find techniques and ways of telling the story to the listener - - - they will listen. I always say, we, performers, are not the stars - - - the audience is the star. We provide a service - - - a way of communicating and it’s our job to present a trouble-free evening to the audience. You give your all, your mind, your voice, your energy and the audience, in turn, will give you their love. Can you share with our readers which five records have been helpful for your own singing? And in what way? I won’t list specific recordings but I listen to Mel Torme, (interpretation), Ella Fitzgerald (jazz nuances), Jo Stafford, (intonation), Lena Horn (performance quality), Judy Garland, (love of the lyric) instrumental trios and big bands. Mostly, my knowledge, my ways of doing it come from the constant experiences of performing – my lack of laziness and the energetic-push to do the job. Whether it’s performance or passion for singing, I wish I could make a difference in the quality of performances in this business. I work to raise the bar for anyone who wants to walk on stage, sing, yes, SERVE - - - you serve the audiences. I believe when you learn to communicate, when you are dedicated to conveying the lyric, the story of the song and strive to perform it with musical sounds that are pleasing. [Y]ou’re providing entertainment! When you want to dress up, stand up and communicate the audience will come, they will enjoy and they will give back to you with loyalty and love. It’s not easy, but it’s been a lifetime project and a helluva good time!